So you’ve heard only bug fixing happens during Service Packs? Not with the Visualize R&D team. We’ve got some surprises in store to brighten up your day…scratch that, speed up your day. Update now to SOLIDWORKS Visualize 2017 SP2 to take advantage of our crazy fast speed improvements! 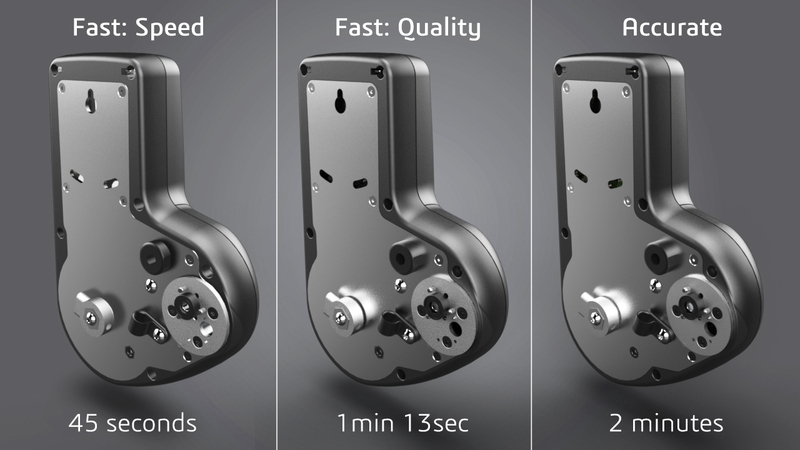 Want to interact with your model faster when in Fast and Accurate modes? Well your wait is over. You’ve specifically asked us to improve the Viewport interactivity when rotating the camera around your model, and we’ve delivered with 2017 SP2. You’ll notice this improvement immediately; night and day over previous versions. 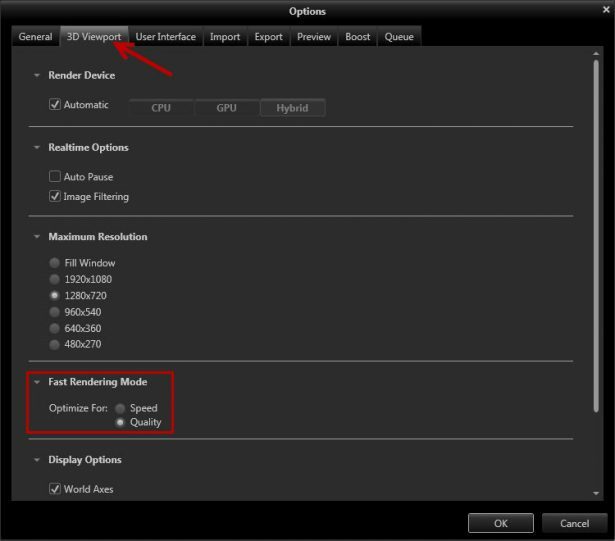 No settings or switch to fiddle with; it just plain works…faster. Speed: recommended for fastest interactivity in the Viewport. o This new Fast render setting will complete renders almost 2X faster than in previous versions, by removing self-shadowing and time-consuming reflections. o Ideal for projects without glass, clear plastics or transparent objects. Quality: recommended for final renders…but you be the judge! o This new Fast render mode is actually more realistic and advanced than our previous Fast render mode! Now you can enjoy the more photorealistic Accurate mode with the blazing speeds of Fast mode. The best of both worlds. o If you haven’t tried Fast mode yet for your Visualize projects, then now’s definitely the time. You might be wasting loads of render time using Accurate mode, when this new Fast: Quality mode gives nearly identical results in a fraction of the time. Update to 2017 SP2 and give it a try today. Are you taking advantage of the powerful ‘Monitor File’ feature to CAD Live-Update your model in Visualize as design and engineering changes are made? Well, we’ve got a bonus for you in 2017 SP2. 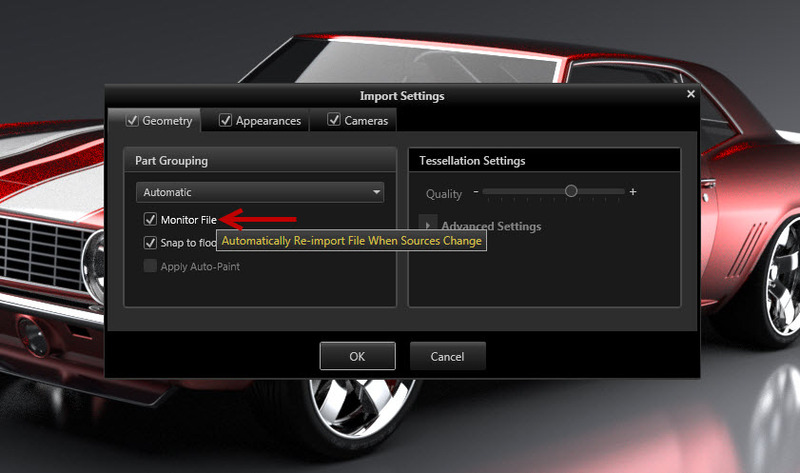 If ‘Monitor File’ is selected upon first import, Visualize will now continuously monitor your CAD file, even while Visualize is closed. As soon as you launch Visualize again, it will search for any newer version of your CAD file and immediately show a pop-up asking if you want to import the newer CAD file. 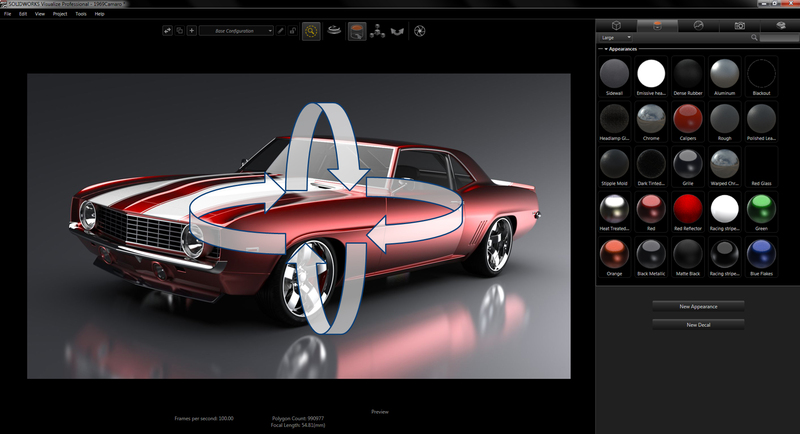 This is a huge added bonus, allowing you to have a seamless workflow between your CAD tool and Visualize. All these improvements and loads of stability enhancements are just a click away for customers on active Subscription. Click ‘Start’ and type ‘Check for Updates’ and then launch the SOLIDWORKS Check for Updates tool. You’ll be cruising with 2017 SP2 in no time and creating Visualize content faster than ever before. Don’t forget to follow SOLIDWORKS Visualize Product Manager @bhillner on twitter for product news and updates, and share your SOLIDWORKS Visualize creations on social media with #swvisualize and #gettinvizzy!